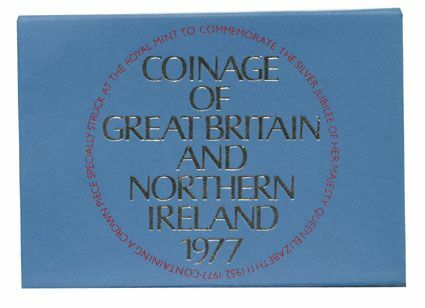 From 1970 to 1989 the Royal Mint produced a series of proof sets for the collector in the familiar coloured wrappers. All the sets are sealed but many coins show signs of tarnishing, but this is typical. Some of the coins were only struck for these sets.